Today was a mini adventure. Take the Sachs on a 43 mile loop. This loop is pretty simple on a larger motorcycle, and is used often to test road worthiness. It has hills and corners and long straight stretches. On the Sachs, it will be a multi-hour reliability trial. The C70 was along for company and backup. It turns out that everything went fine. 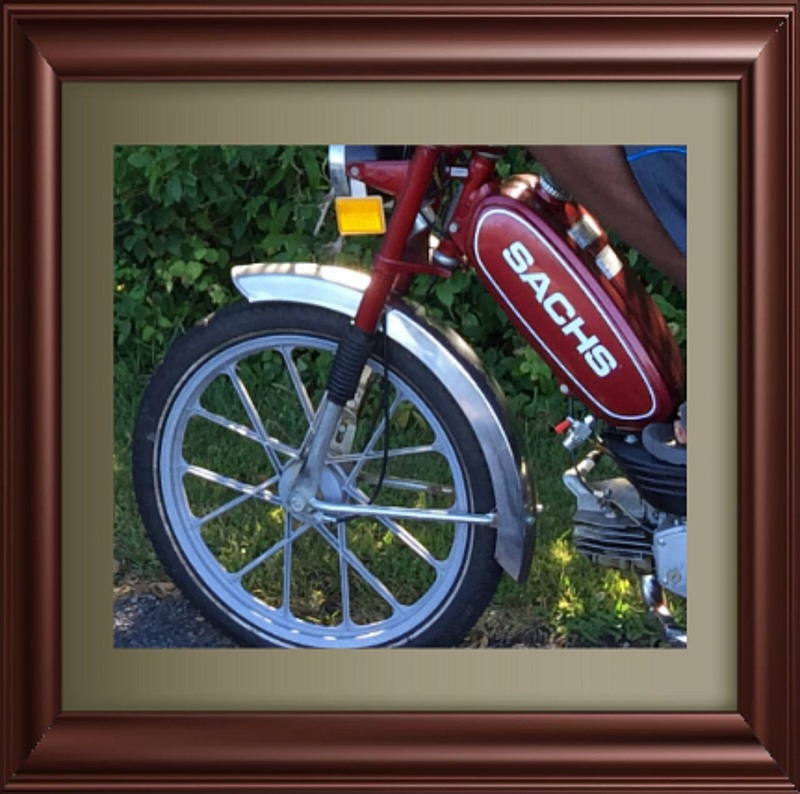 The Sachs was a rock of reliability. It does conk out up steep hills if you don't use the pedals to assist, but other than that it putts along contentedly as long as you stay within its limits. The beauty of this machine is that you MUST slow down and smell the roses. You are usually moving along at bicycling pace. On back country roads, it is super relaxation.